Has anyone you’ve ever known (perhaps even you) had a deep and sincere desire to grow their family through adoption, but its price tag was so overwhelming and discouraging that they concluded there is no way I could EVER afford to adopt? And if that’s you, I truly understand. Unfortunately, adoption is expensive and many of us do not have unlimited funds to be able to afford adoption. But before you decide that adoption isn’t an option because of the price, I implore you to educate yourself on the financial resources available to adoptive families, especially the Adoption Tax Credit. The Adoption Tax Credit can help families reduce their federal tax liability and greatly offset the costs of the adoptive process. For adoptions finalized in 2018, the adoption tax credit is up to $13,810 per child. There is a lot of information on the web about the Adoption Tax Credit. Below are a few creditable resources that I want to share with you. It’s a spring board to your understanding of the tax credit.…And now for the mandatory legal disclaimer.…I’m in no way, shape or form, a tax professional nor am I endorsing any of the links. Please consult your tax professional for how you can receive the maximum benefits from the Adoption Tax Credit….and now, on with the show. 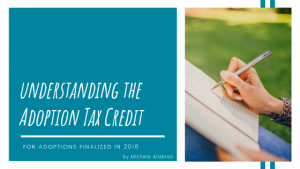 Rules for Claiming 2018 Adoption Tax Credit – How Can I Claim the Adoption Tax Credit? Please do not let the sticker shock of adoption or your lean financial portfolio be the only reason you do not pursue adoption. Do your research, talk to financial professionals and, if God has etched it onto your heart, never say never! 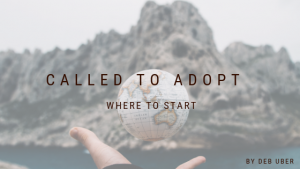 Called To Adoption: Where To Start? It’s the start of a brand new year, and among your other goals, adoption comes up. Many couples feel called to adopt, either from discussing it for years, because of an infertility journey, or sometimes after hearing a touching story about a child and their forever family. Since this is a common time of year for planning, adoption may be something you are wanting to consider more seriously. 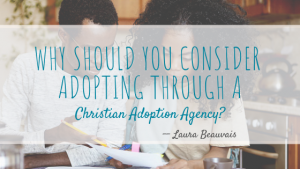 Talking about adoption, and starting an adoption process are two very different things. So how do other people go from dreaming, to achieving their goals? If you haven’t looked into it yet, there are many different avenues for adoption. Each one unique with different pro’s, con’s, costs, and timelines. You may want to get a basic overview (hyperlink: https://www.youtube.com/watch?v=oCg7-2WPoOM&t) about each of the options before further researching. It may help to start with simple questions like what age of child you are hoping to adopt, or whether or not you will be available to travel for an adoption process. While it’s tempting to try to gather as much information as you can through the internet, it can also take a lot of time and lead to misinformation. Agencies have trained staff who are available to answer your questions, and help you decide if an adoption program may be the right fit. Chances are there might even be some questions you haven’t thought of yet that they can catch you up on. 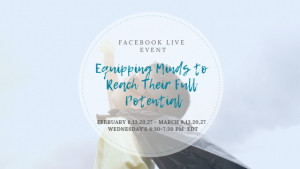 With a basic understanding of the types of adoption you could consider, and your questions answered, you are now in a place to discuss and pray about what program may be right for your family. This can be a vital stage in the process that you won’t want to skip over. Seeking God and making sure that everyone is on the same page will save a lot of stress down the road. It’s natural to feel nervous about starting such an important journey, but make sure you also have peace about it. This can look different from program to program, usually it means filling out an application. Adoption can be a paper intensive process, so it helps to stick your toe in the water before jumping in. You will have plenty of work ahead, but the end result is an incredibly important little person that is waiting to meet you. They are worth every step of the process. 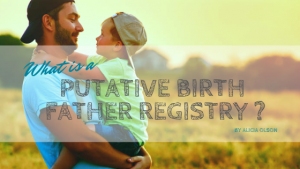 What Is a Putative Birth Father Registry? If you have researched domestic infant adoption, you may have heard the terms putative father, putative father registry or birth father registry. A putative father is a man who is believed to be the biological father of a child when he is not married to the mother at the time of birth. Unfortunately these men are only known to adoption agencies or attorneys if the birth mother names them. If the birthmother is unwilling or unable to identify the father of her child, it is impossible to locate him. As such, this gentleman may not be informed of the child’s birth or the potential adoption process. In some cases, he may not even know that he has fathered a child. States are faced with the question of how to protect the parental rights of these men. A man has the right to know he has fathered a child and the right to choose to parent the child if he desires and is able, just as the birth mother has the right to do so. Each state has its own law on how to proceed with an adoption involving a putative father. Some states require a man to support the birthmother and be involved in her life during the pregnancy to establish his parental rights. Generally a set period of time has to pass after the birth of the child without any supportive action from the putative father for a court to proceed with terminating his parental rights. If a birthfather is unknown, there can be increased legal risk for the adoptive placement. When a gentleman becomes aware of his child after being placed for adoption, a long legal battle can ensue with possible disruption after a child has attached to their adoptive parents. The case of baby Jessica , removed from her adoptive parents at the age of 2 years to be placed with her biological father, is an example of this. Many states have responded to this ethical dilemma by using putative birth father registries, which require a man to register if he believes he has fathered a child and would like to assert his parental rights. Currently over 30 states have such registries and each operates slightly differently. There is generally a limited time period for him to register after the birth of his potential child. Registration commonly includes providing his name, verifiable identifying information, location and contact information, as well as any information he has for the woman with whom he was intimate, including approximate date. During an adoption process, an adoption agency or attorney checks the registry for matches to the birthmother making the adoption plan. If a match is found, the man is then notified of the birth and the adoption proceedings. If he does not respond, his parental rights can be terminated along with the birthmother’s so the adoption may proceed. One of the limitations of the current system is that each state operates their putative father registry separately. If a child is conceived in one state but born in another, a man may not know to register in both states. It is entirely possible for a child to be born outside of the state where the man is registered and he is therefore never notified. The Permanency for Children Act of 2017 (HR 3092) proposes a national putative father registry to prevent such issues, assisting states in locating putative fathers in other states. This bi-partisan bill proposes expanding the use of the Federal Parent Locator Service to cooperate with state systems and cross-reference to exchange information. The FPLS is currently used to establish paternity and locate parents specifically for child support obligations. This framework and system is a logical starting point for national cooperation and oversight of a federal putative father system. 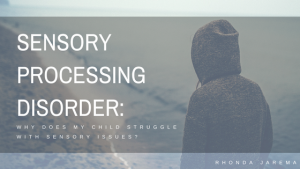 Sensory Processing Disorder: Why Does My Child Struggle With Sensory Issues? I was greeted at the door by a mom and her two year old newly adopted son dressed in a very cute sailor outfit. However, by the time we walked about ten feet into the kitchen and sat down, the child was naked and flooding the bathroom! Although at first glance, one might assume this child had ADHD, when in fact he had a Sensory Processing Disorder. What this mom learned very quickly, is that therapy and the use of some accessible activities can really help calm the senses of children dealing with sensory integration disorder. Sensory processing disorder (or SPD) is also known as Sensory Integration Disorder—a condition where the individual struggles to process or have appropriate responses to the demands of their environment. Basically a ‘sensory overload’ where the brain becomes overwhelmed with smells, sounds, sights, textures, temperature and other sensory input—affecting a child’s social skills and behavior. If you have concerns about your child having these issues, speak with your pediatrician. Your child might benefit from a referral to an occupational therapist. They are trained to evaluate and develop a plan of care or interventions that can be helpful for your child. Occupational therapists refer to a ‘sensory diet’—activities that are sensory based and help the child to calm down. It might be helpful to keep a diary of your child’s behavior as that will help the professionals identify issues of stress and possible interventions. Be aware of activities or situations that cause your child to go into sensory overload. Avoid them or have ‘escape’ plans with your child, so that your child feels more in control of the situation. Here is a list of some of the activities or interventions used as part of the treatment for SPD. Miniature trampoline – jumping can actually help the brain settle down. Sandbox with Measuring cups and items hidden in the sand to find. Packing plastic that can be rubbed on the child, or popped. Bubble gum – chewing will help to calm the senses. It’s January 2015, and for Adéye Salem, that means she’s less than a month away from the frozen embryo transfer that she and her husband have been preparing months for. Adéye recently braved the cold weather and made another video to answer your questions about embryo adoption. In this video, she answers questions about their decision to adopt embryos through open adoption, as well as what their plans are if no babies are born from the process. Learn more about Salem Family’s journey and the challenges that they’ve faced on the Embryo Adoption Awareness Center’s blog! 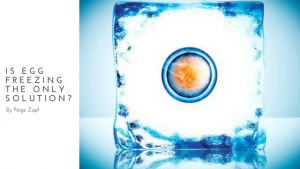 • Age – Are they too old for embryo adoption? 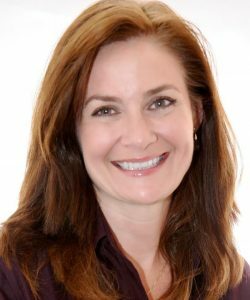 • Success Rate – Why did they choose embryos that have a 20-30% chance at life? • Family Size – How they manage life with nine children, and how will they do it with even more children? • Medication – What kinds of medication will Adéye have to take leading up to the FET? As their mid-January Frozen Embryo Transfer nears, the couple will release more videos to answer your questions. Visit Adéye’s blog and leave questions in the comments for their upcoming videos!